Davina Bristow has a few nice optical illusions in this Telegraph article. 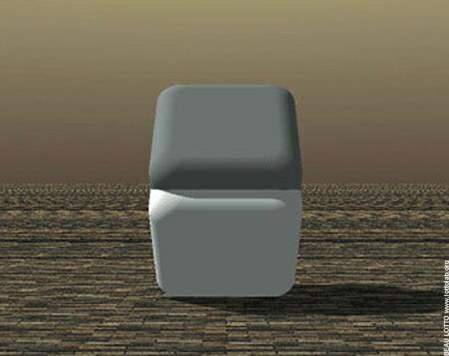 The faces of this cube are, in fact, the same colour. Davina suggests a way to confirm this by cutting holes in a bit of paper which hides the surroundings – on my Mac I used the Digital Color Meter utility which shows the top actually to be slightly lighter in this rendition. It’s the edges of the faces, and the appearance of a shadow, which causes us to deduce that the top is grey and the bottom white.